“Civilization: The Way We Live Now” presents more than 250 works by over 120 of the world’s most renowned photographic artists, offering a complex and sprawling vision of contemporary life. The images gathered here, produced in the past 25 years, speak to the changes brought about by globalization, and draw attention both to the increasing amount of complexity and conflict, and to the unprecedented degree of interdependence, that characterize life today. They attest, as well, to the development of the medium of photography, and its ability to document these sweeping changes. Organized in collaboration between UCCA and the Foundation for the Exhibition of Photography, the Beijing presentation of Civilization is curated by William A. Ewing and Holly Roussell. I have a new series of video portraits included in a major touring exhibition called ‘Sixteen’ which explores the dreams, hopes and fears of sixteen-year olds across the UK. The work will launch at Format Festival in Derby. Photographer Craig Easton conceived this work following his engagement with sixteen year olds at the time of the Scottish Referendum. It was the first, and as yet only, time that sixteen year olds were given the vote. He went on to invite some of the UK’s foremost documentary portrait photographers to collaborate with young people across the country to make a visual vox pop. Working with photography, film, social media, audio recordings and writing, Craig and his colleagues bring together the faces and voices of more than one hundred young people from diverse communities across the United Kingdom. Locations span large conurbations such as London, Birmingham and Manchester; isolated areas in the South West, Northern Ireland, the Scottish Islands and post- industrial towns of the North. The photographers open up conversations with these young people about their hopes and fears, and who or what sustains them, giving prominence to voices rarely heard. The project explores how social background, gender, ethnicity or location might influence aspiration. Photographers commissioned for Sixteen include Linda Brownlee, Lottie Davies, Craig Easton, Jillian Edelstein, Stuart Freedman, Sophie Gerrard, Kalpesh Lathigra, Roy Mehta, Christopher Nunn, Kate Peters, Michelle Sank, Abbie Trayler-Smith, Simon Roberts and David Copeland. 2019 is the 20th anniversary of the Art Collection Deutsche Börse with numerous exhibitions and events. Under the motto “From another perspective”, we invited experts to share their view on the collection with us. This way, a varied, constantly changing insight into the most important positions of the Art Collection Deutsche Börse is formed. The anniversary program will kick off with the exhibition “We love Photography!” curated by British photographer Martin Parr, which will showcase around 130 works by 56 artists that he has selected from the Art Collection Deutsche Börse. The exhibition will feature big names in the history of photography such as Walker Evans, Bernd and Hilla Becher or Diane Arbus as well as trailblazers in documentary photography, for example Bruce Davidson, Philip Jones Griffiths and Susan Meiselas. It will also extend to younger artists such as Mike Brodie, Beate Gütschow and Simon Roberts. Artists: Diane Arbus, Jessica Backhaus, Peter Bialobrzeski, Werner Bischof, Anna & Bernhard Blume, Mike Brodie, Joachim Brohm, Gerd Danigel, Bruce Davidson, John Davies, Phillipp-Lorca diCorcia, Nikos Economopoulos, Mitch Epstein, Walker Evans, Peter Fischli und David Weiss, Lucas Foglia, Alberto Garcia Alix, Geert Goiris, David Goldblatt, Paul Graham, Philip Jones Griffiths, Andreas Gursky, Beate Gütschow, Jitka Hanzlova, Thomas Hoepker, Evelyn Hofer, Roni Horn, Pieter Hugo, Seydou Keita, Dana Lixenberg, Vivian Maier, Susan Meiselas, Boris Mikhailov, Richard Mosse, Zanele Muholi, Simon Norfolk, Arnold Odermatt, Gordon Parks, Heinrich Riebesehl, Simon Roberts, Malte Sänger, Sebastiao Salgado, Pennti Sammallathi, Jörg Sasse, Wilhelm Schürmann, Alfred Seiland, Stephen Shore, Malick Sidibè, Gunnar Smoliansky, Joel Sternfeld, John Stezaker, Thomas Struth, Joseph Szabo, Guy Tillim und Tobias Zielony. 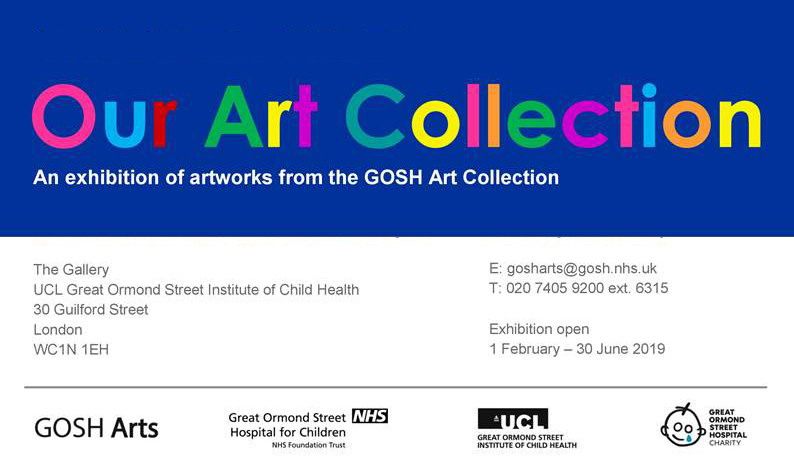 I have a few prints included in this exhibition of work taken from the Great Ormond Street Art Collection. New video installation work The Brexit Lexicon will be on display at Flowers Gallery, Kingsland Road as part of Flowers Contemporary II. Flowers Gallery is delighted to present its first exhibitions in 2019, Flowers Contemporary I, II & III, taking place across both London locations, and the New York gallery. The exhibitions bring together new works by gallery artists, representing the wide-ranging themes and concerns defining their practice today. Civilization: The Way We Live Now is a major exhibition opening at Seoul’s National Museum of Modern and Contemporary Art this October. It features the work of 100 of the world’s finest photographers. It addresses and illuminates major aspects of our increasingly global 21st century civilization. It stresses the fact that contemporary civilization is an extremely complex collective enterprise. Never before in human history have so many people been so interconnected, and so dependent on one another. In science and art, at work and play, we increasingly live the collective life. The Olympic Games, the giant Airbus, CERN, MRI, the Trident Submarine, Wikipedia, the Academy Awards, the International Space Station, Viagra, the laptop computer and the smartphone… However we feel about any of them, none of these complex phenomena would have been possible without superlatively coordinated efforts involving highly educated, highly trained, highly motivated, highly connected people. Several works from my Merrie Albion series are included in the exhibition and book. Published by Thames & Hudson. The Brexit Lexicon is a newly produced video- installation work that explores the store of metaphors and verbiage that have become the stock in trade of politicians and journalists during the Brexit negotiations. Creating a compendium of the most common terms that have coloured the way Britain / EU have described current political discussions, the lexicon is read out by an anonymous news presenter sat in front of a green-screen and viewed on a television screen. Alongside the Lexicon, Roberts is displaying a photographic work on street poster sites across the city. Between the Acts, 2018 is an artist poster featuring a photograph of the iconic white cliffs at Seven Sisters in Sussex coupled with a haunting quotation from Virginia Woolf. The exhibition has been made possible with support from Arts Council England and is part of the Brighton Photo Fringe festival. More info here. Flowers Gallery is pleased to present an exhibition by British photographer Simon Roberts, bringing together works from his extended photographic surveys of Russia and Britain produced over a period of 15 years. Simon Roberts is known for his major bodies of work, We English, Pierdom, and Merrie Albion, which together comprise one of the most significant contemporary photographic studies of Britain since the new color documentary of the 1980s. His earlier series Motherland remains one of the most extensive, comprehensive photographic accounts of Russia by a Western photographer. Presented together in this exhibition, Homeland explores Roberts’ critical reflection on the relationship between contemporary national identity and place, and his ongoing investigation of what draws people together within a particular landscape. Simon will be in conversation with W.M Hunt on Saturday November 17 at 3.30pm. Image: Daniel Meadows National Portrait (Three Boys and a Pigeon) 1974. Courtesy the artist. Prints from Merrie Albion are included in this new group exhibition Modern Nature: Photography that explores the merging of urban and rural landscapes in Britain. For the first time in human history, more people are living in urban environments than in the countryside, yet the impulse to seek out nature remains as strong as ever. This new exhibition of photographs at The Hepworth Wakefield features leading British photographers Shirley Baker, Bill Brandt, Anna Fox, Chris Killip, Martin Parr and Tony Ray-Jones, Simon Roberts and explores our evolving relationship with the natural world and how this shapes individuals and communities. Drawn from the collection of Claire and James Hyman, which comprises more than 3,000 photographs ranging from conceptual compositions to documentary-style works, Modern Nature will include around 60 photographs taken since the end of the Second World War, through the beginnings of de-industrialisation to the present day. It will explore the merging of urban and rural landscapes, the rapid expansion of cities and the increasingly intrusive management of the countryside. Here’s a recent feature in the Guardian about the exhibition. Modern Nature runs from 13 July until 22 April 2019 at The Hepworth Wakefield. Admission is free.